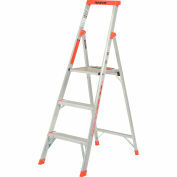 Rust-Oleum TurboKrete Concrete Patch Kit, 2 Gal. 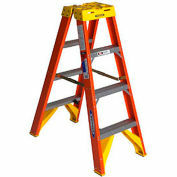 The 4 ft. Metaltech Buildman portable scaffold is the perfect solution for all your indoor painting and maintenance applications. 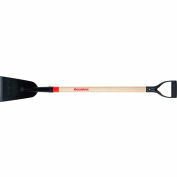 It features a robust 750 lbs. 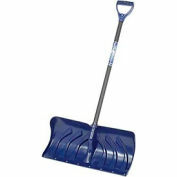 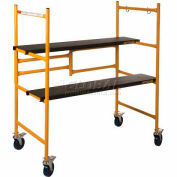 load capacity, yet is lightweight, easy to transport and handle. 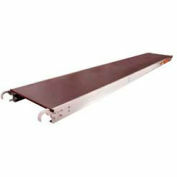 When not in use, it conveniently folds down making it easy to store. 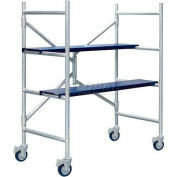 This unit contains two sets of gray 14 gauge steel anti slip platforms for a multi-level working area. 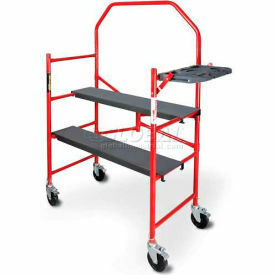 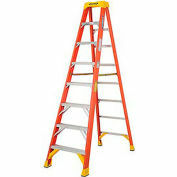 Adjust the two steel platforms on the bottom rungs and you can even use this as a storage cart to haul your equipment and heavy loads to and from the jobsite. 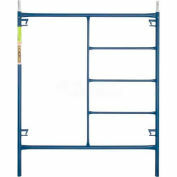 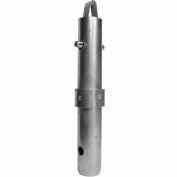 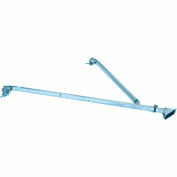 Rugged 1-1/4 inch steel tube frame construction is secure and safe (includes safety rail) with 5 in. 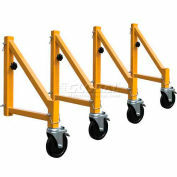 swivel casters with double-locking brakes and solid steel stem. 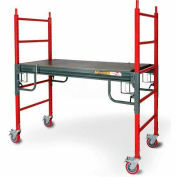 The convenient tool shelf is designed to hold all your tools, screwdriver bits, both quart and gallon paint cans. 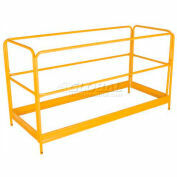 The whole tool shelf will easily fold out of the way when your job is completed. 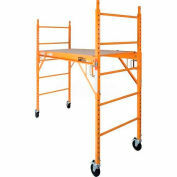 Meets OSHA and CSA requirements. 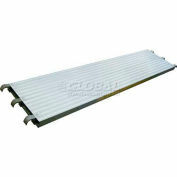 ANTI-SLIP ALUMINUM PLATFORM 7' X 19"